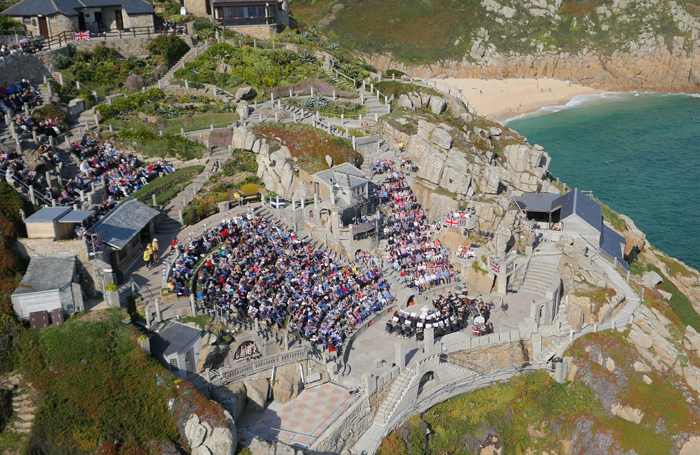 Four miles from Land’s End, looking out into the Atlantic Ocean, is the Minack Theatre, arguably the country’s most impressive open-air theatre. The Minack was built into the granite cliffs of Porthcurno 86 years ago by Rowena Cade, a wealthy, stage-struck gentry woman from Derbyshire, and her faithful gardener, Billy Rawlings. What they created was nothing less than a Roman amphitheatre, though smaller in scale. Cade bought the Minack headland for £100 after the First World War and built a house for herself and her widowed mother there. In the summer months Cade, who had always loved the theatre, would put on amateur productions of Shakespeare, making the costumes and sets herself. When it came to The Tempest she decided it was appropriate to stage it in the gully above Minack Rock, overlooking the ocean, enlisting the help of two local craftsmen to help her construct a simple stage and some basic seating. The first performance, in the summer of 1932, was lit by car headlights attached to batteries. This was the start of the Minack Theatre project, which continued for the next 40 years, aided and abetted by the tireless Rawlings, who probably never dreamt his gardening duties at Minack House would extend to carving a theatre out of the cliff face. 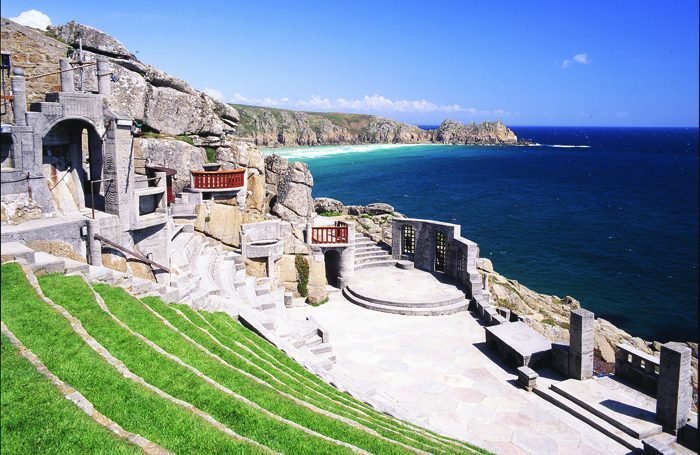 From the 1920s onwards, Rawlings took on the task of constructing the gardens and terraces around Minack House and later, with the help of his brother-in-law, building a ring of seats out of granite cut and fashioned on the site that formed the basis of the theatre. Cade wrote that Billy “practically made the Minack single-handed, with only the aid of a tough, ageing woman, his employer and friend. He was quick, strong and courageous. Once set on a thing he was hard to stop, even if it appeared to be dangerous”. 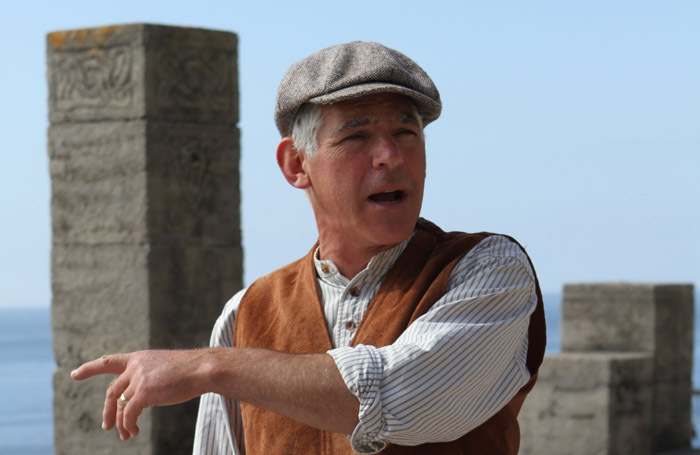 The story of the creation of the Minack is retold by local actor and drama teacher Mark Harandon, assuming the identity of Rawlings, fitting performances in between the theatre’s busy 2018 summer season of visiting companies. This year’s line-up includes productions of Jesus Christ Superstar, Hamlet, Doctor Dolittle, Journey’s End, Sense and Sensibility, Chicago and Wolf Hall. 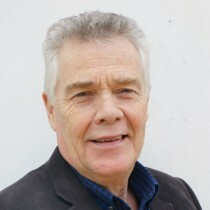 Yorkshire-born Harandon first visited the Minack in the 1970s and appeared there as an amateur actor in a version of Daphne du Maurier’s Jamaica Inn in 1983 with the West Cornwall Theatre Group, one of the first companies to take shows to the cliff-side venue. The idea for a show based around Rawlings first emerged in 2012 when Harandon met the old gardener’s daughter and secured the family’s permission to go ahead. 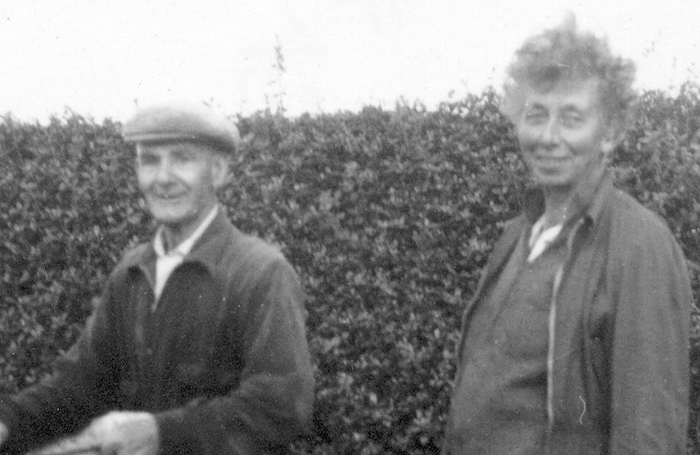 From his research, and talking to members of Rawlings’ family, Harandon has concluded that Billy was indeed the driving force behind the basic shaping and construction of the theatre, using his knowledge of earth and granite. He believes Cade was more concerned with the decorative and artistic aspects of the venue. However, that did not prevent her from developing a fondness for explosions during the building process. Rawlings occasionally used dynamite to penetrate the granite rock face, sometimes with the assistance of his brother-in-law Charles Angrove. On one occasion, Cade confided in Rawlings that she didn’t like the wooden lighting box they had installed. “Couldn’t we blow it up?” she asked. When Rawlings was in hospital, before his death in 1966, Cade made him a double seat out of granite, inscribed “Billy Rawlings worked here 1932-1963”, and later in life would often be found sitting on it alone on warm summer evenings. Since Cade’s death in 1983 there have been many changes and improvements, including a cafe, extended toilet facilities and a new dressing room. Moving Heaven and Earth is at the Minack Theatre until October 27.